On a warm August night in 1932 in Tijuana, Mexico, Clark Gable sat slouched in a back booth of the restaurant at the Hotel Caesar, swirling the ice in his bourbon and pushing croutons and romaine around a plate with his fork. Across the table, Jean Harlow twirled a platinum curl around her index finger and glared across at him. “You’re more interested in that salad than you are in talking to me,” she said in a vampy whisper. A dapper man with a servile smile and a starched white jacket emerged from the shadows, clasping his hands in front of him. “Dry as far as the eye can see,” she said. “Make that two,” said Harlow. I just made that up. But it might’ve happened. No salad, perhaps, has been written more about than the Caesar — invented, so the story goes, by Cesare Cardini at Caesar’s restaurant in Tijuana in the mid 1920s. There are whole books — and blogs, I’m sure — devoted to it. What more do I have to add? Nothing really. I’m a purist — I don’t like grilled chicken breast or seared ahi on top, I don’t like Southwestern style with sizzlin’ shrimp or half Romaine grilled on the barbie. But what I do have to contribute is a nifty shortcut on the dressing, which fits in nicely to my blog since it’s based on mayonnaise. (Shhh, don’t tell that yoga student you’ve got coming to dinner…) Since mayo is essentially an emulsion of egg, acid and oil, I figured it would stand in well for that raw egg that makes everyone nervous when they eat Caesar’s. It did. Chop up romaine into large pieces. Toss bread cubes in olive oil with a little salt, place on a piece of foil and then toast in a 250 degree oven for around 30 minutes, until golden. Make the dressing: combine mayo, anchovies, garlic and lemon juice in a large bowl. Add Worcestershire and pepper, then whip in olive oil to emulsify it into the dressing. Finally, mix in grated Parmesan. Toss salad and croutons with dressing until thoroughly coated and distributed. Plate salad, top with anchovies to taste, and sprinkle with shaved Parmesan and freshly ground pepper. I judge a restaurant on a few things and one of them is their Caesar Salad. If it isn’t any good then I don’t think I’ll be back. mmmmmmm anchovies!!! I judge a restaurant on their Caesar even if they don’t serve one. absolutely pure and authentic recipe…I just happen to be a skinny girl who HATES mayonnaise and anchovies…I’m sure this classic rendition is…nothing more than a classic. Love your story Sean!! Great story as well as recipe Sean. Thanks for all your posts. Delicious! A handy substitute for the whisk and bowl is a large sealed jar. Just shake. If the ingredients are too emulsified the dressing loses something…not sure what but we did a taste off years ago and the least bruised dressing won. Another note. 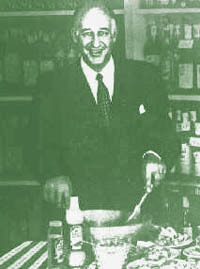 As lemons were not likely available in the region of Mexico that developed this dressing at the time, the original likely used limes. Julia Child introduced it with lemon juice and it stuck. I know my palate prefers lemon! Sean! 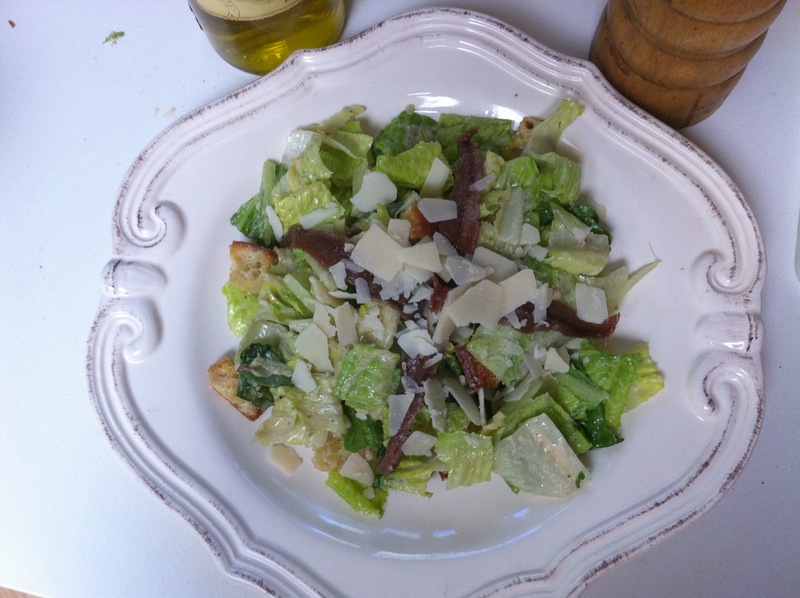 This recipe is now my goto Caesar dressing! I love it because it’s so easy and DELISH!